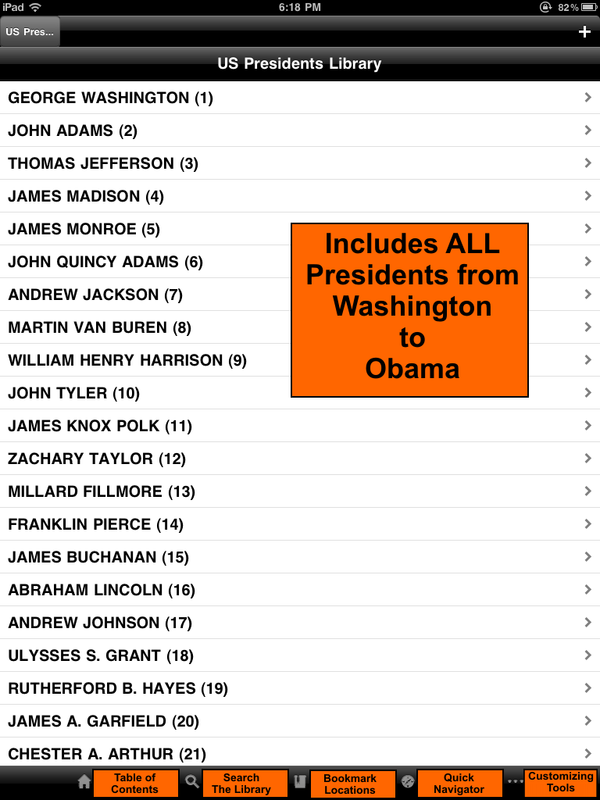 Now you can peruse through the countries 220 years of Presidents and their wives with this incredible app. 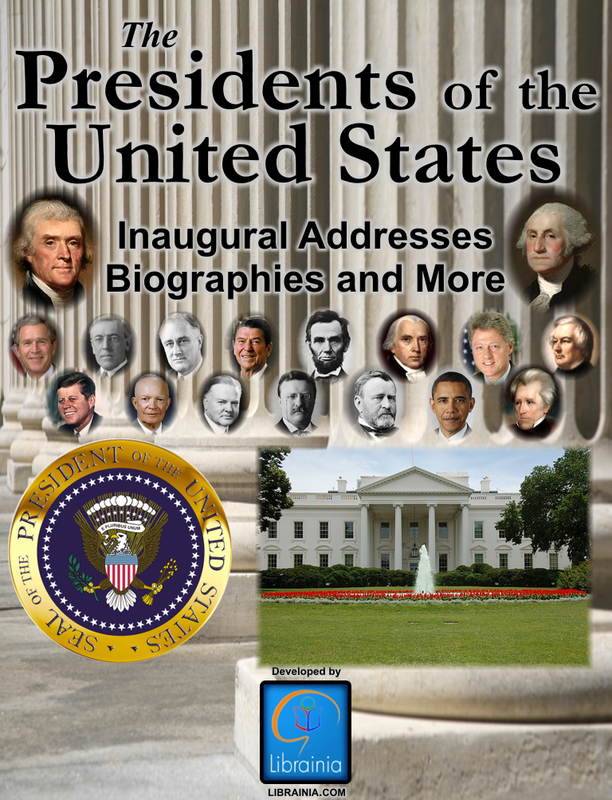 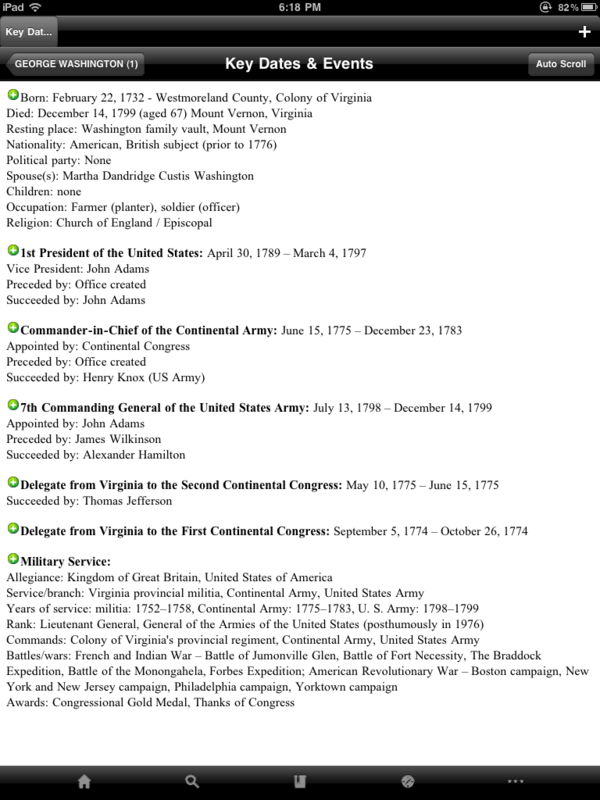 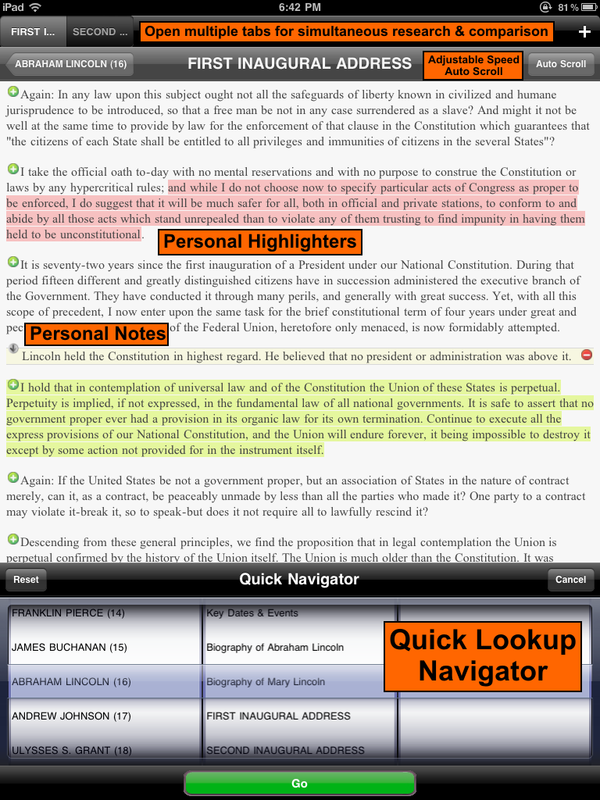 From George Washington to Barrack Obama this app gives you everything you need for studying and researching any US President. 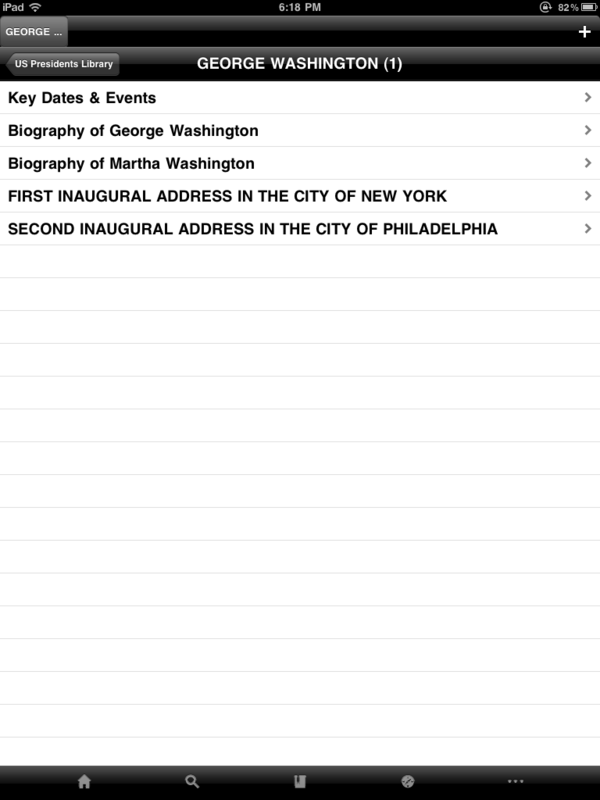 Key Dates & Events including birth date/place, date/place of death, cemetery location, spouse(s), children, political party, occupations, religion, positions held, military service and more.